Last week the City of Madison exercised its Emergency Operations Center (EOC) in a simulated tornado disaster response. 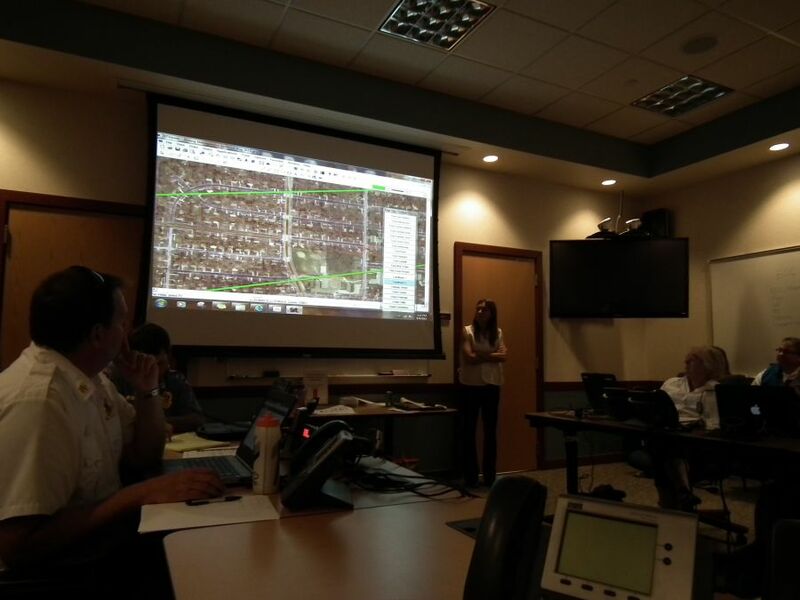 During exercises such as this, agencies gather in a room and lend logistical support to first responders trying to manage large-scale emergency events. The EOC is made up of department heads from Public Works, the Mayor’s Office, Information Technology, Finance, Risk Management, City Attorney, Police, and Fire. 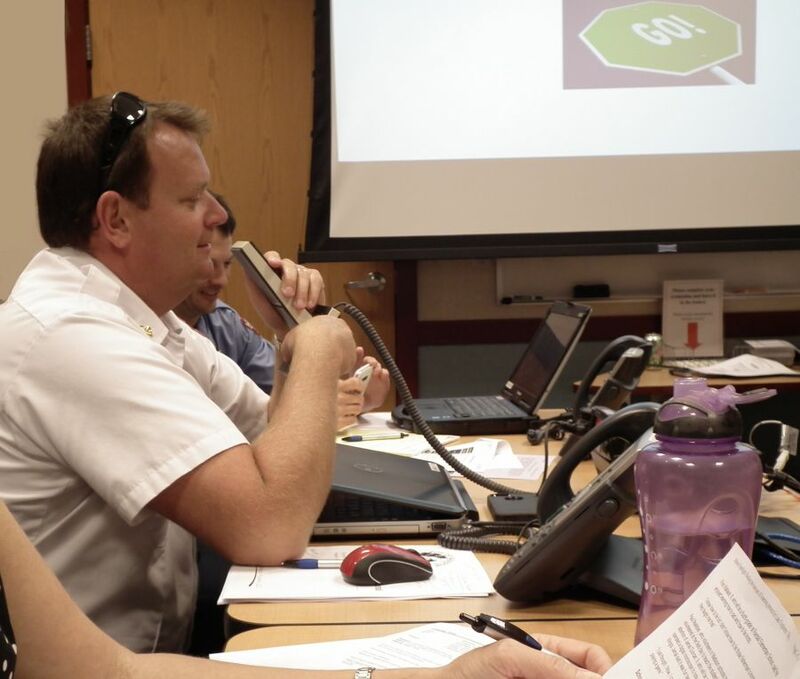 This group connects with Dane County Emergency Management and Wisconsin Emergency Management utilizing communication systems such as conference calling and video teleconferencing. The scenario the EOC simulated last week involved a tornado that cut about a one-mile path through the west side of Madison. We came together in a Unified Incident Command structure that had leaders from the Police and Fire Departments sitting side by side in the Dane County Command Vehicle (CV1). Pairing police and fire agencies together allows us to make unified decisions and have a coordinated approach to public safety. It also increases efficiency when it comes to helping people in the event of mass chaos. This “Unified Command” concept is relatively new to the City of Madison. While it’s been around for a few years, Police and Fire had a wake-up call when we analyzed some of the recent domestic terrorism events that have occurred around the country. The command staffs quickly realized that we need to be together to ensure we are coordinated and efficient. We started to adjust how we respond to these events about two years ago, and we’ve since had several training sessions based on this approach. Both agencies are finding that working together is critical for success. Training events like last week’s EOC exercise are essential. We continue to prepare to ensure that the citizens of Madison are safe-- and served efficiently and fully-- when tragedy occurs.